I first moved to Namibia in 2010 as a volunteer teacher. This is me the next year visiting my former students as the Namibia Country Director of my volunteer organization (WorldTeach). YOU'RE a volunteer abroad and having a blast. You can’t believe the time is going by so fast and you’d love to make this a permanent move. A job sounds like the next logical step. But how do you get one? How do you translate a volunteer position into a career abroad? Though many volunteer positions pay little, they can be an excellent springboard into an overseas job. When I first moved to Namibia, I made a whopping $400 per month. This was actually a pretty good salary compared to what some other orgs like Peace Corps paid their volunteers. Nine months into my year as a volunteer abroad in Namibia, I was hired by my organization as their Namibia Country Director. Six years later, I’m still living in Namibia and have successfully navigated my time here into several fantastic job opportunities. If you're observant and move decisively throughout your volunteer work, you can parlay it into an even more exciting opportunity. Let’s get at how you can maximize your volunteer experience and turn it into a career overseas. 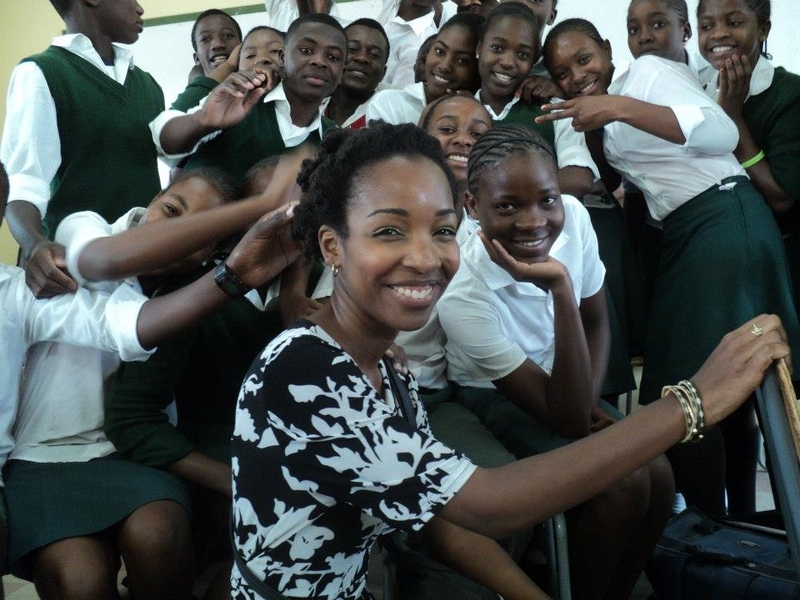 This is me back in 2010 wrapping up a teaching practicum with Namibian students. First things first, you want to make a good impression within your volunteer organization. So if an extra project comes up for grabs, take it. Show off your leadership skills and proactive nature. This also means not to complain about your low or non-existent salary. You want your supervisors to have positive thoughts when they think of you. Hoping to be considered for any jobs that open up? Having a positive can-do attitude within your volunteer organization will take you far. If you want to dip into the local job pool you have to network with locals. Find out what organizations and government bodies exist in your profession. Then make it a point to attend their events and network. Stay in touch with your new contacts and share your professional interests and skills with them. Let people know you’re interested in staying in their country! You’d be surprised what kinds of job opportunities can present themselves simply from developing new in-country friendships. While you’re volunteering and especially after your time is done, stay in touch with your boss. Send them weekly emails with photos updating them on how you’re doing in-country. Or if you’re back home, touch base with them about how you’re readjusting. Bottom line—you want to craft a genuine relationship and make a lasting impression. When you apply for any jobs that open up, you will be sure to stand out in the applicant pool. That's me third from the left in a U.S. embassy youth panel here in Namibia. Does a career with the U.S. embassy, Peace Corps or Foreign Service sound awesome to you? Then while you’re in-country, attend as many local diplomatic events as you can. This is an easy way to meet the heavy hitters from your home country. Introduce yourself and get a business card. Send a follow-up email stating it was great to meet them and keep nurturing the relationship. If you happen to be applying for a diplomatic position let your contact know. They might be able to usher your application into the right hands. Newspapers are still an important means of information sharing across the African continent. Lots of great positions are listed right in a country’s newspapers. So while you’re volunteering always keep tabs on what's in the papers. Is there a day of the week when the national paper is particularly full? (Here in Namibia it’s the Friday paper which has the most classifieds ads.) Then always make sure you page through that day's paper. This is where you can find all types of jobs. By browsing through newspapers, you’ll also get a feel for which organizations are in the country. It's not uncommon for an international non-profit to advertise not only jobs but events they're having, right in the newspaper. To inquire about opportunities, reach out to their management with a cover letter, resume and phone call or email. 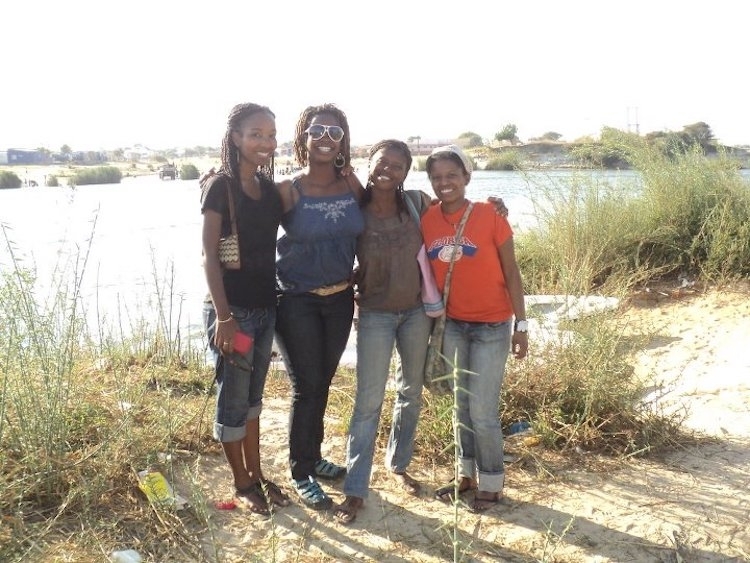 Here I am hanging out with three lovely Peace Corps Namibia volunteers. If you want to find a career in-country don’t limit yourself to your own organization. Throw yourself in the job pool by spending time with other non-profits on the ground. Get to know other volunteers and key people like Country Directors and Program Managers. Check out their websites and study their organizational structure to see what positions they have, are open, and which you’d be a good fit for. 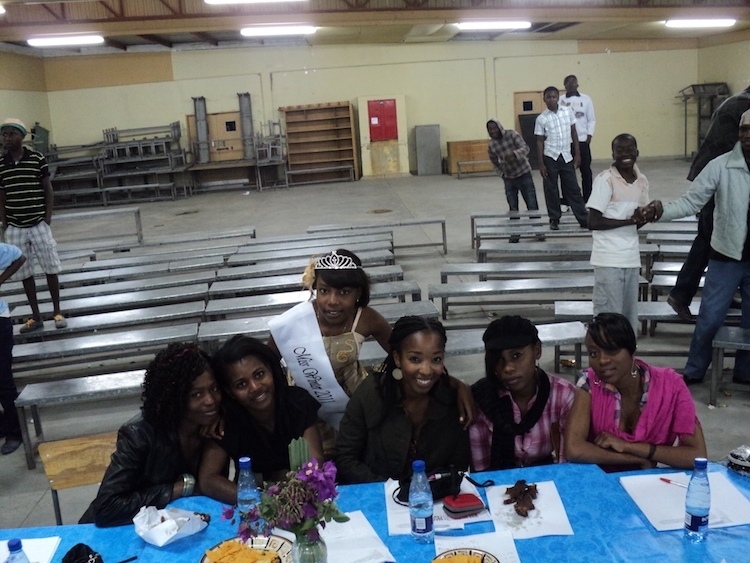 That's me in the middle volunteering as a judge for a school pageant. Chances are the country that you’re volunteering in has some needs that you can fill. That’s why you’re there in the first place! Don’t underestimate yourself and the local value you can provide. Offer local consultations where you see there's a need. Create community events where you notice a gap that needs to be filled and partner with local bodies. Establish yourself as a do-er. You might be able to turn an aspect of this into a consulting or independent business. A few years ago, I volunteered at a local Namibian college by teaching a multi-week broadcasting seminar. It was completely unpaid but still a phenomenal experience. I shared my skills in media with Namibian youth and made some great professional connections. Feel like your volunteer service is ending too soon and you haven’t found any job yet? Then consider extending your service. The longer you’re in-country the more people you will naturally meet who will serve as potential job leads. Time on the continent tends to breed clearer direction and understanding of where you fit in locally. Use your extended time to scour the types of opportunities you want and network deeper. If you really want to be abroad, a volunteer position can be the perfect ‘in’ to a career abroad. Don't be turned off by the generally low compensation for volunteering. It can be a fantastic entryway into a career in fields like international relations, international education, and the likes. Stay focused on your goals remembering that if you strategically maneuver yourself, the value can be ten fold. Ready to jumpstart your life abroad? Take a leap of faith and craft your experiences into an exciting and long-term life overseas. What tips and resources can you share about job hunting for a position in another nation? Share your expertise in the comments below. Looking for more ways to move to Africa? Reclaim your Wakanda with these five ways to move to an African country.